I am kind of a cover geek. I really love old(ish) or should I say familiar songs covered by different people. Some people find covers to be a bit tedious. In fact, The A. V. Club published a very popular list of 23 songs that should never be covered again. The list included Leonard Cohen's Hallelujah(of which I possess at least 40 different covers). 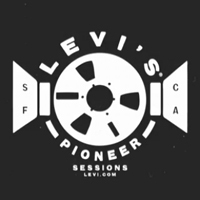 Seeing the trend for cool covers, Levi's put together a web site featuring a group of artists who were asked to record a cover and explain why. The Levi's Pioneer Sessions features the music as free downloads. The Dirty Projectors covering a less than famous Bob Dylan song, I Dreamed I saw St. Augustine (I only have 3 covers). Colbie Caillat covering the Blondies, Maria. But my favorite is Jason Mraz covering that one-hit-wonder Spirit In The Sky from Norman Greenbaum. Click on the link and download some of your favorites. I'm funny about covers. As soon as I hear one, I must go back to the original singer. With one exception - Jeff Buckley's Hallelujah. I think it is one of the most perfect sounds I've ever heard.